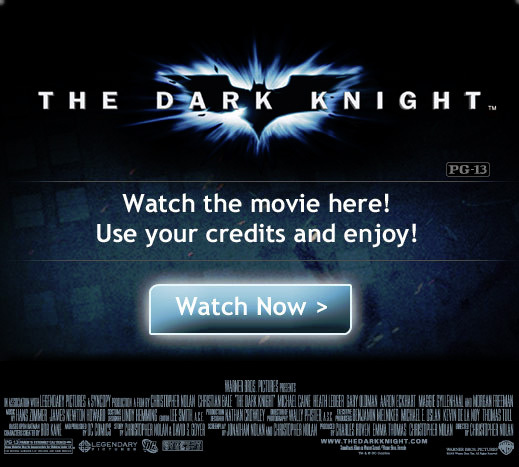 Earlier this month, Warner Brothers let people stream the film The Dark Night on Facebook. It was priced at $3 in Facebook Credits for a 48-hour rental. Now, five more films have been released on Facebook. Is Facebook entering the streaming business to join Netflix, Amazon, Hulu and more? That might happen; it's not impossible. But it certainly isn't happening really right now. It's just Warner Brothers making some extra money renting movies via the social networking giant. First it was The Dark Night, and now, they will be renting Harry Potter and the Sorcerer's Stone, Harry Potter and the Chamber of Secrets, Inception, Yogi Bear and Life As We Know It all via the respective movies' official Facebook Pages. All of them will be rented using Facebook Credits, presumably for the same pricing as for the Batman film (though it is not official yet). Facebook Credits is the virtual currency used throughout several games on Facebook.